I'm not sure if this ended up the way I wanted it to, but I like it anyway, it's probably the last of my crazy colored series, the next walls will be normal from a palette point of view. I love Neuro, he's a demon that acts like one, the manga is very interesting, I recommend it. Wish I made something more serious with him, but the occasion didn't allow it. 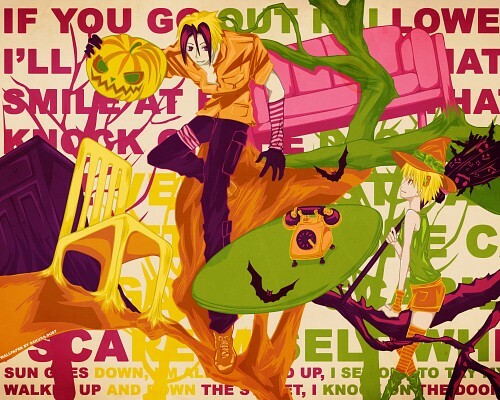 Love the colors, though it took me a bit to figure out what was going on, what with the lack of black outlines and all :p Great work and very fitting for a Halloween wall, especially the typography. Only thing I'm on the fence about is his face, it looks sort of...stretched; the original scan's like that, though, so no biggie.